Liposuction is one of our most commonly performed and requested surgical procedures. However, when consulting with patients, we often find there are many misconceptions about liposuction, who can have it and what it can achieve. 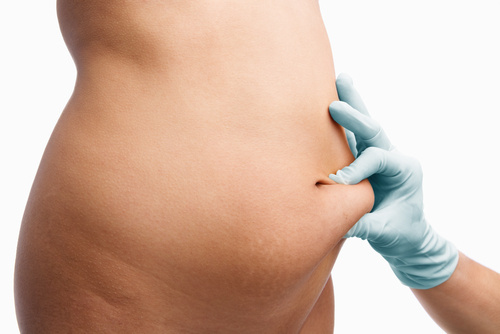 So what are some common myths about liposuction? Most people seem to think liposuction is a procedure which is suitable for those who wish to lose a substantial amount of weight. However, this is not the case. Liposuction is actually more suitable for people who have a smaller amount of excess fat which they have been unable to lose with a healthy diet and exercise regime. If you have too much body fat and undergo liposuction, you may find you end up with excess skin, and will then require a tummy tuck procedure. Therefore, liposuction is only offered to people who have smaller sections of fat which they are wanting to be removed. Currently, London Lipo Institute only offers this procedure to patients who have a body mass index (BMI) under 30. Liposuction is becoming increasingly popular with men. However, the areas for treatment may vary for men and women. Women tend to focus on liposuction on the hips and thighs, while men may seek liposuction on the stomach and the neck. Men who have gynecomastia may also wish to undergo liposuction to reduce excess fat in the breasts. If you are a man and are thinking about undergoing liposuction, do not hesitate to book a consultation just because you think other men aren’t having the procedure. Liposuction removes the fat cells in particular area of the body, so the fat cannot return to the area where you had the procedure. 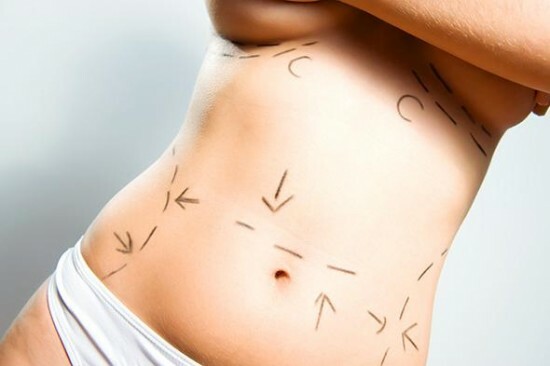 However, if you are eating excessively following your liposuction procedure, you may find you gain weight in other areas of the body where liposuction was not undertaken. This can result in a lumpy appearance, as there will be fat in some areas but not others. To avoid this, it is recommended that you follow a healthy eating and exercise regime following your liposuction. Many people suffer from cellulite and often want a quick fix to get rid of it. Unfortunately, liposuction isn’t the option. This is because cellulite is a different type of fat than what is removed during liposuction. Cellulite is fat which sits right below the surface of the skin. Subcantenous fat then pushes the connective bands beneath the skin, which gives the bumpy, uneven appearance you can see. Liposuction, on the other hand, only targets soft, fatty tissue. In some cases, liposuction can make cellulite less visible, but it is not considered a suitable treatment option. Despite the common misconception, there is no maximum age limit for liposuction. However, you will still need to be assessed to see if you are a suitable candidate. If your skin is lacking in firmness and elasticity, you may not be suitable for liposuction or will experience poorer results than younger patients. You will need to attend a consultation to be able to tell whether or not you are suitable for liposuction, but keep in mind that age is no barrier. Liposuction is a surgical procedure, so it has its risks. However, it is in no way considered to be a dangerous procedure. At London Lipo Institute, we carry out tumescent liposuction. This means you will be awake throughout the procedure – there is no need for a general anaesthetic. Furthermore, the tumescent liposuction method reduces the risks of bleeding during the procedure and lowers the risk of side effects afterwards such as bruising and swelling. Our liposuction procedures are undertaken by qualified, experienced surgeons, who also teach liposuction to other doctors, so it is not considered a dangerous or risky procedure. As previously noted, liposuction is not a suitable procedure for those who are morbidly obese. In fact, the more fat that is removed, the riskier the procedure comes. At London Lipo Institute, we will not remove more than 4 litres of fat in one session. If you require a larger amount of weight removed, you will need to book in to have multiple procedures. During your consultation, your surgeon will be able to assess your body and see how much fat is appropriate to be taken out, and whether or not you will need multiple appointments. Are you interested in undergoing liposuction? Contact London Lipo Institute today for more information or to book a consultation with one of our surgeons. What is mons pubis liposuction?